Engin Club seeks to enhance students' experiences beyond academic pursuits and add vibrancy to engineering student life. 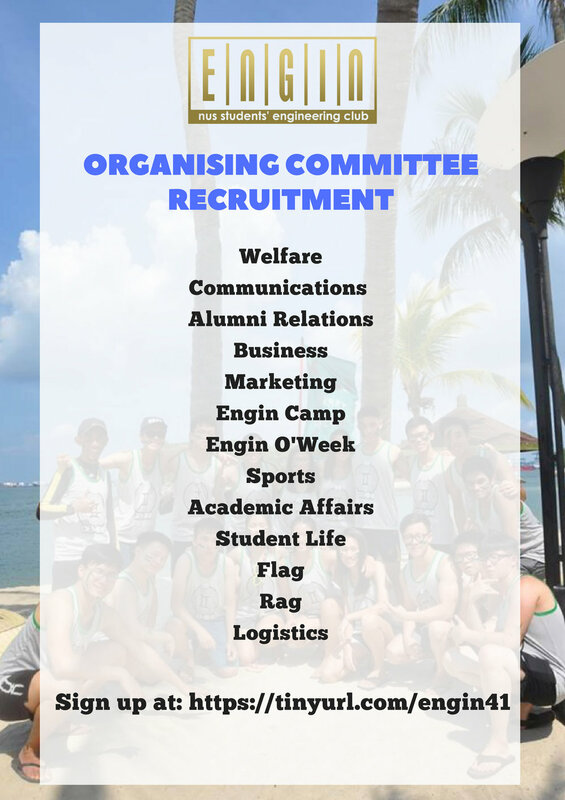 We have 13 different committees for you to choose (from Welfare to Academics to Alumni Relations). We are opening organising committee recruitment form from 19th September to 30th September. Join us on this journey to serve the students of engineering, it will be an experience to remember!